Vegans rejoiced over Ben & Jerry's decision to release four almond milk-based flavors last year (Chunky Monkey, Chocolate Fudge Brownie, PB & Cookies and Coffee Caramel Fudge), and now they're getting two more reasons to scream. Meet non-dairy Coconut Seven Layer bar and non-dairy Cherry Garcia, your latest excuses to sit at home and watch Netflix on Friday night. And while an official launch date has yet to be announced, some lucky shoppers may find the new flavors in their local grocery stores. 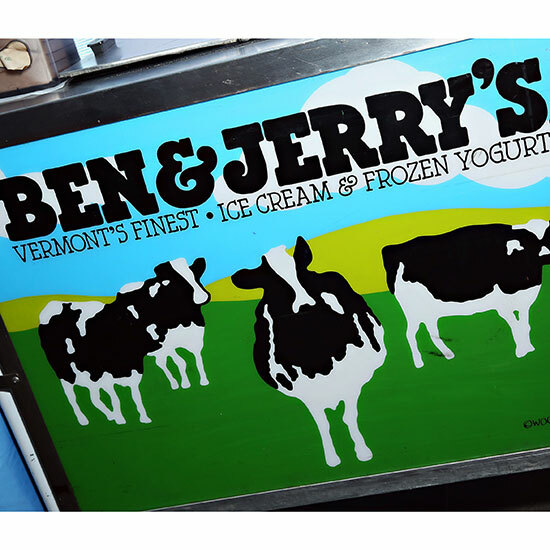 While we reached out to the Vermont ice cream makers, as of now, the only confirmation we've received is via social media postings showing the ice cream's presence in Philadelphia. But this is certainly a sign of the brand's desire to expand. BRB, off to stalk every grocery store's frozen food aisle until we find them.